Casa Torices Real i Cartagena, Colombia : Boka nu! 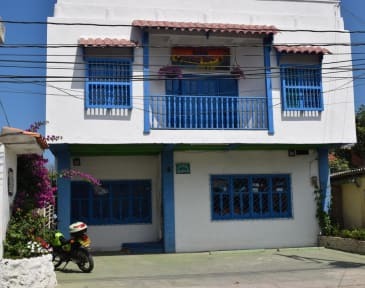 Casa Torices Real is in Cartagena de Indias , just 1 km from the beach , where you can enjoy a wide variety of activities, and 500 meters from the transport services connecting to Santa Marta and Barranquilla. This hotel offers free WiFi . Casa Torices Real has 5 rooms. The rooms are fitted with a private bathroom. A flat-screen TV with cable channels is featured. Check out before 14:00 . Nice four bed dorms with air condition and shower. Only downside is the lockers which aren't safe at all. 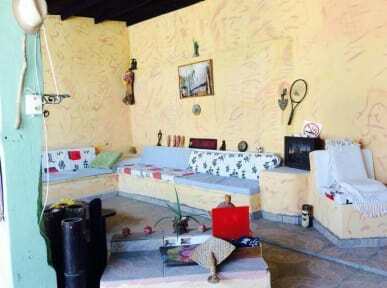 Otherwise the hostel has a really good vibe and nice areas to hang out, cook, watch tv etc. the view from the rooftop is also really nice.